To enhance the grace of the earrings the lower components are adorned with scintillate pearls in a very circular setting round the central piece with floral style. 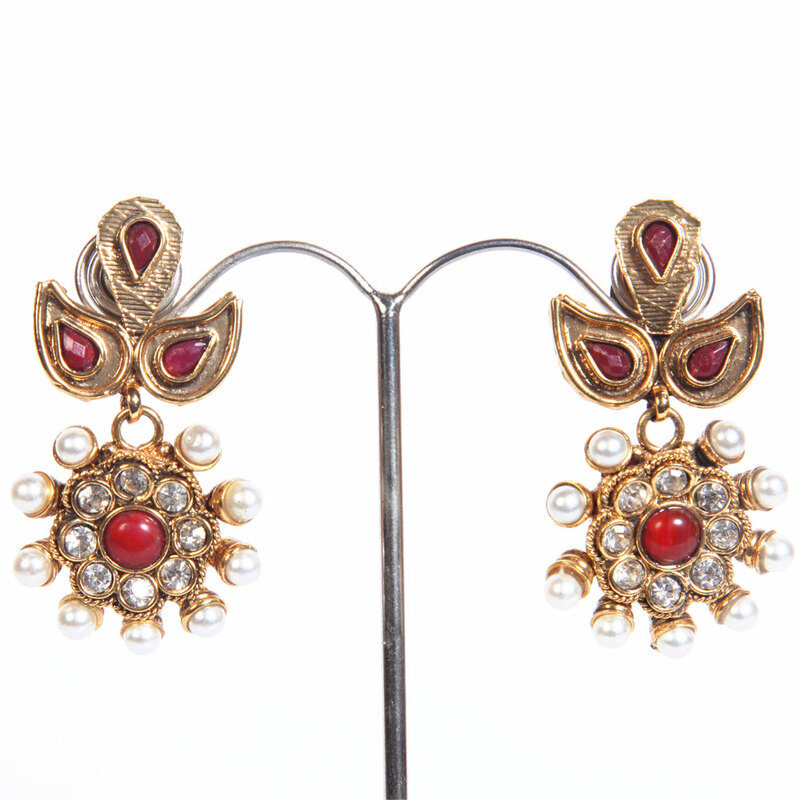 Presenting a youthful look are these fashion earrings crafted from gold plated brass metal and adorned with beautiful red and white stone work. To enhance Read More..the grace of the earrings the lower parts have been decorated with glittering pearls in a circular setting around the central piece with floral design. Show Less..